Deep in the jungle heart of Ember Isle lies a massive caldera. Its molten core spews forth devastating rivers of fire, but this same fire also brings new life to the island in a never ending cycle of life, death and rebirth. The calderas rocky spines shoot up thousands of feet into the air, visible from anywhere on the island. As the melted earth meets the cool, calming pools at the foot of the Dormant Core you can see where the beauty and devastation meet in harmony to perpetuate the lifegiving engine.  It is here, in this primal land, where the elements are exposed in their most basic forms – the entire jungle teams with primordial energies from before the Ward and whisper of times long past. The Kelari and Keepers of the Flame commune with these spirits, and defend them against others who would seek to take their energies for themselves, corrupt them, and use them to destroy Telara. As you take your first steps into the flora and fauna of Ember Isle, perhaps you’ll recognize some of it from the wonderful concept art our artists made to bring this beautiful island to life – enjoy!